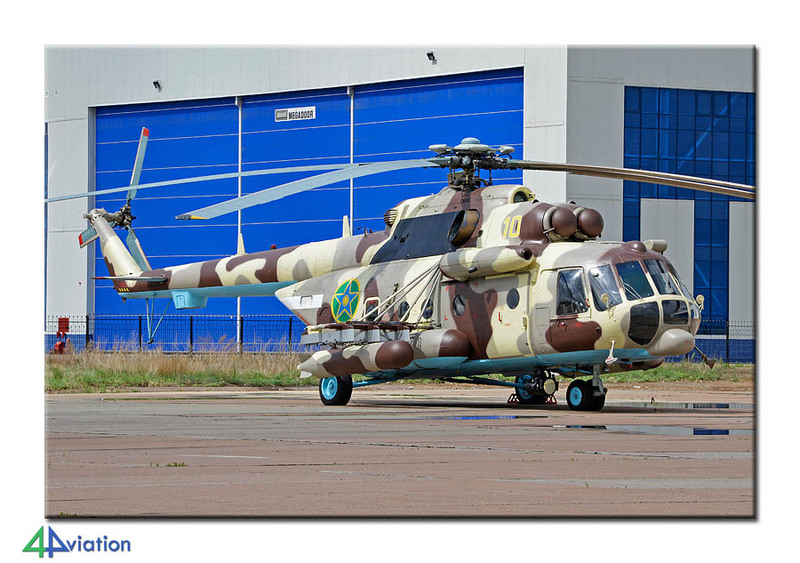 In 2014 we visited the Kazakhstan Defence Expo (KADEX) for the second time. The 4Aviation group consisted of 24 participants from The Netherlands, United Kingdom, Belgium, Luxembourg, France and Malta. 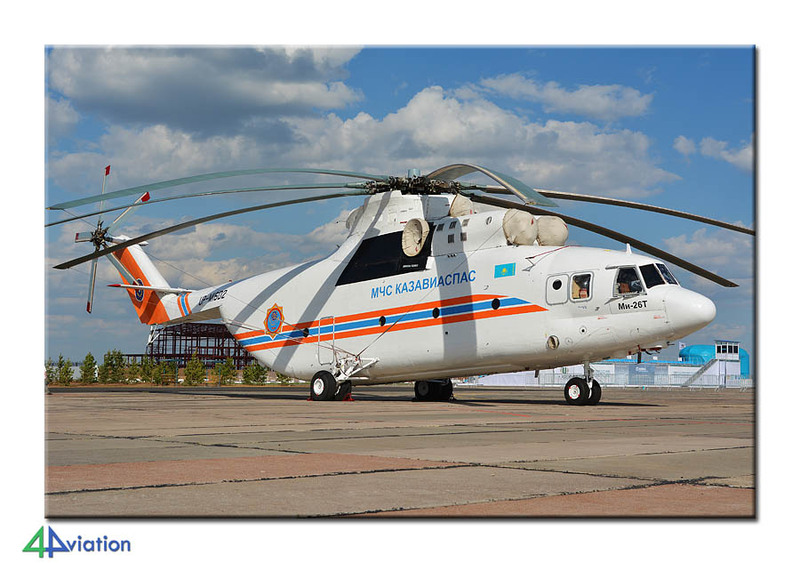 The second 4Aviation tour to the KADEX-event in Astana (Kazakhstan) started on Wednesday 21 May. The group consisted of 24 participants from The Netherlands, United Kingdom, Belgium, Luxembourg, France and Malta. Twelve participants gathered at Schiphol at around 11 in the morning and another ten participants joined the group during the stop at Kiev-Borispol. Two participants decided to travel to Astana on their own. 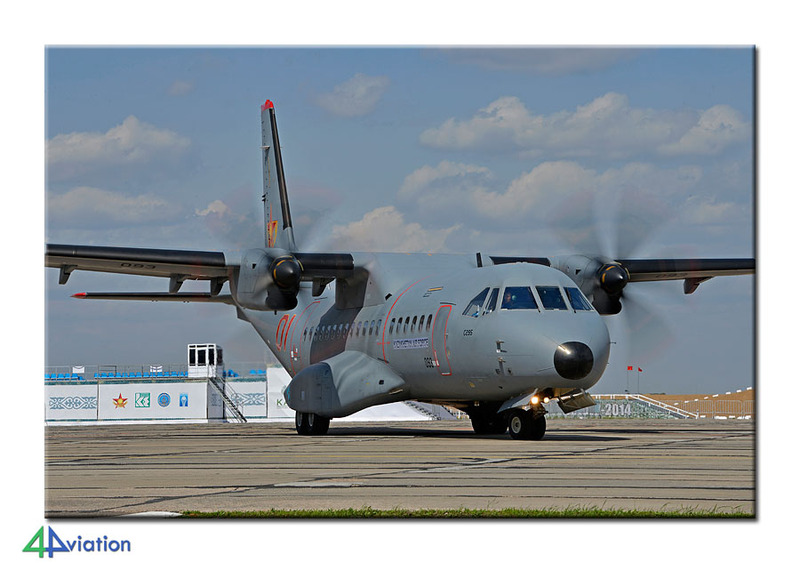 Flying Ukrainian International Airlines resulted in the “numbercrunchers” on the group to be able to have a look at the 15.tabr area at Kiev-Borispol were several transport aircraft and helicopters could be seen. 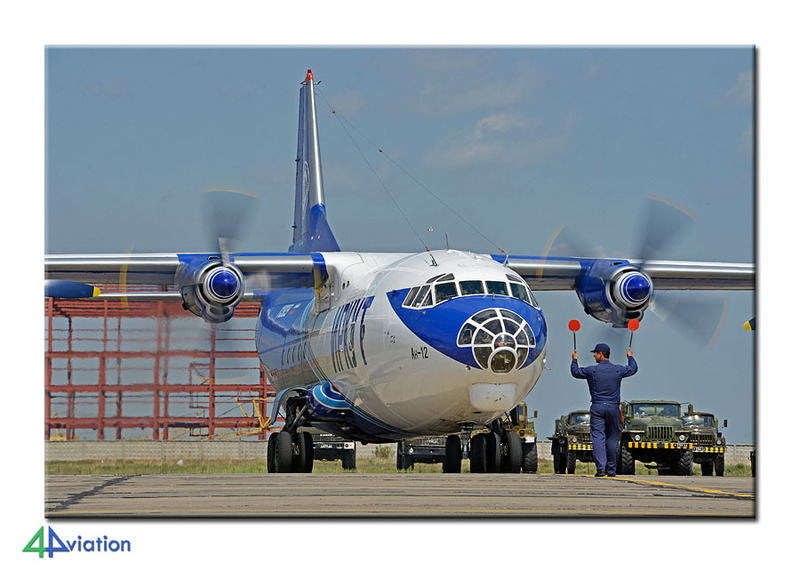 During the two hour stop at Kiev another two An-26s and an Mi-8 came in to land. After a comfortable flight from Kiev to Astana we arrived at Astana just before three in the morning. The immigration procedure, collecting the luggage and getting cash money took some time so daylight was almost returning when all went to bed in the “authentic” hotel after a short bus ride. Hardly four hours later (Thursday morning 22 May) the bus was waiting for the hotel again for the ride back to the airport where the KADEX-event was taking place. The weather was not too good, as predicted but the forecast for the next three days was a lot better. Collecting our passes went very smooth and with expectations running high we headed for the show terrain. On our way to the static show we passed an exposition of numerous military vehicles and fire trucks. 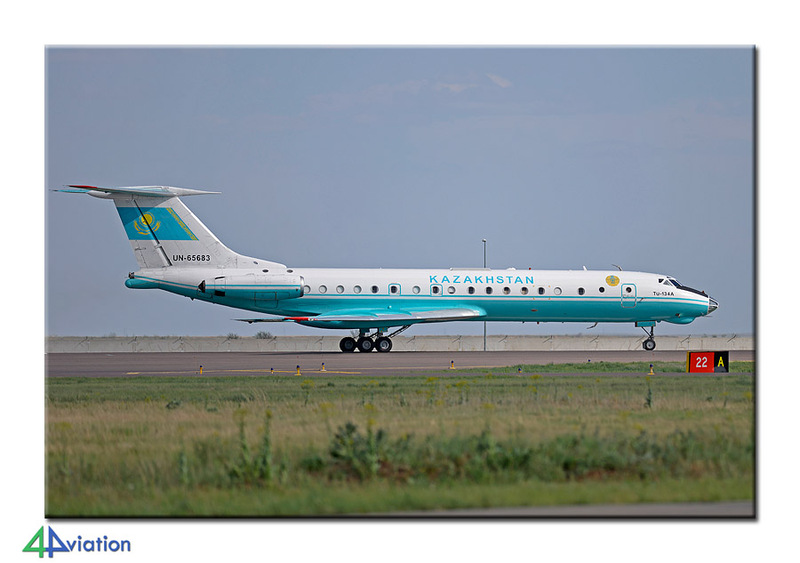 When arriving at the aircraft some disappointment was felt when the static display apparently did not contain any fighter aircraft of the Kazakhstan Air Force! 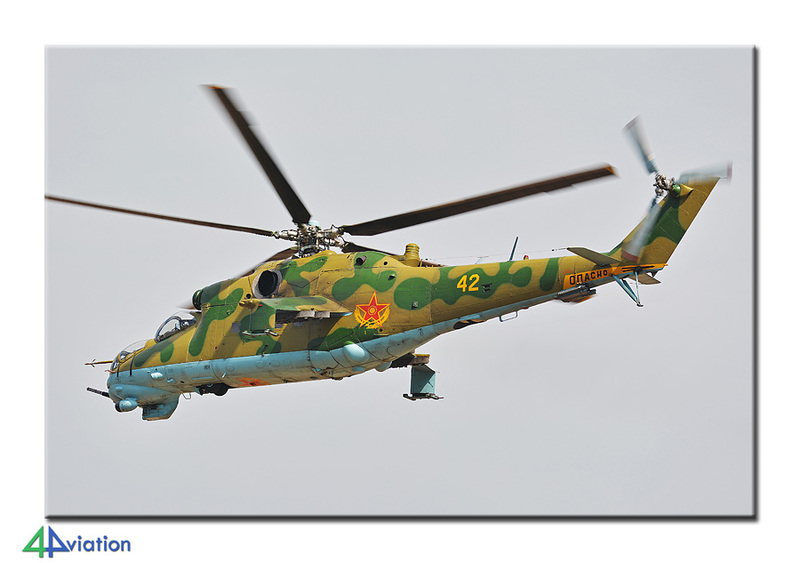 The static did however contain a number of other aircraft and helicopters of the air force, the Ministry of Emergency Situations and the Border Guard. Besides that there was some modern hardware of different sorts, like a Russian MiG-35 and a Su-30, an A400M and some other aircraft. Parked in the grass were six nice Kazakhstan Air Force Mi-8s and two Mi-24s. 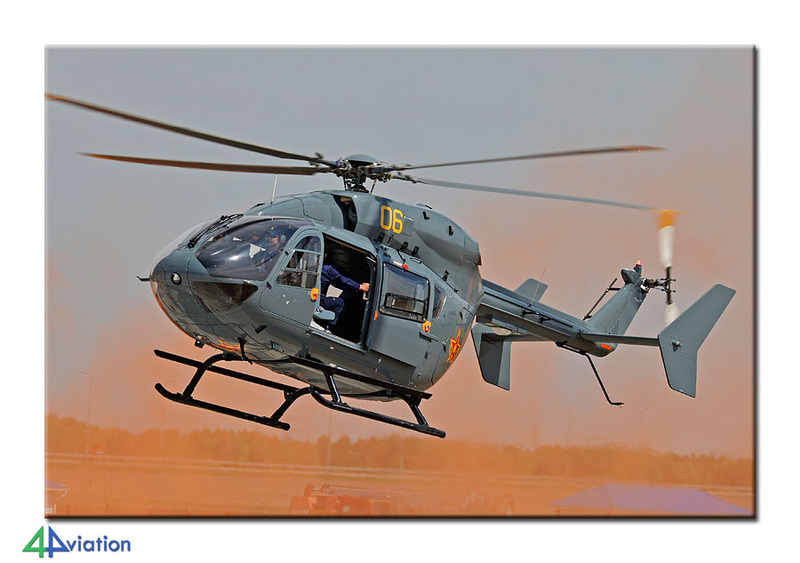 Soon a number of choppers started up for the official opening of KADEX. This opening was, like during the previous edition, a demonstration of an anti-terror operation followed by de demonstration of all sorts of military vehicles ending with a demo by three T72 tanks. Despite the lack of fighter aircraft on the ground everybody was confident that the air force could not stay absent after so much army display and soon after a group of four fighters was seen in the distance. 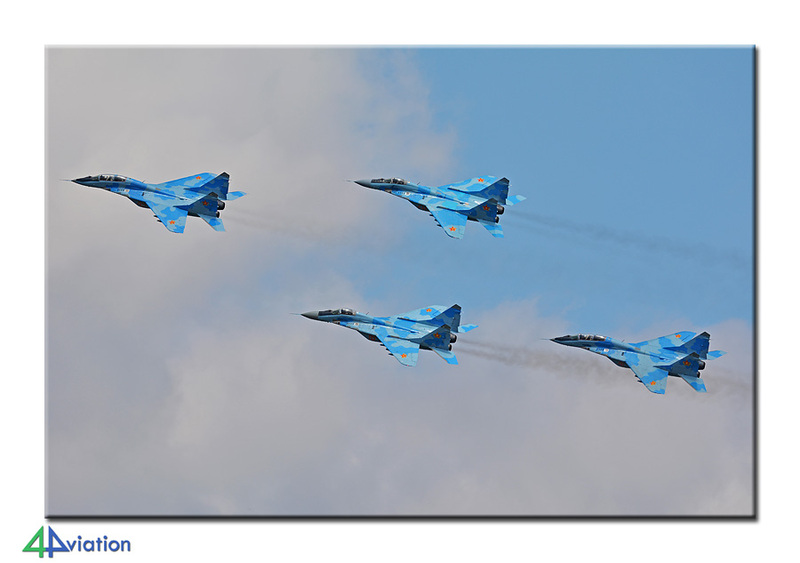 They appeared to be four MiG-29 and then another group was seen (a group of six Su-27s)! 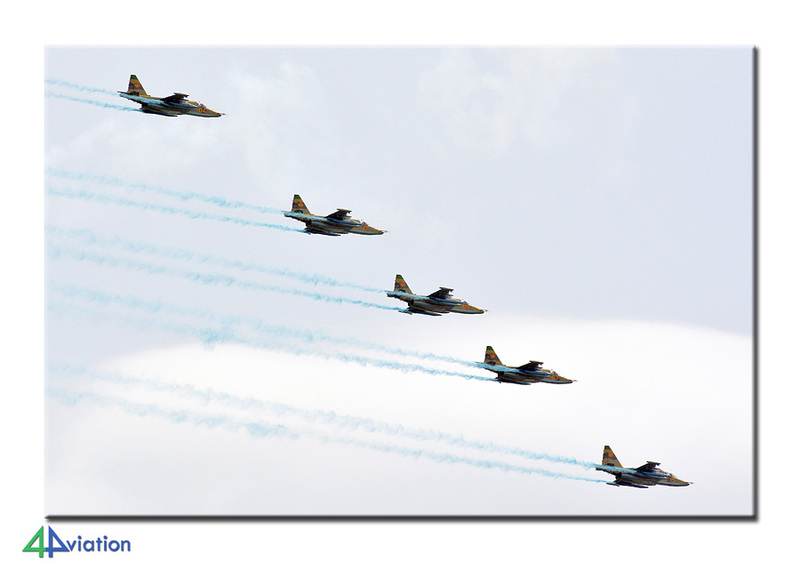 After the army demonstrations were over the fighters were able to display. 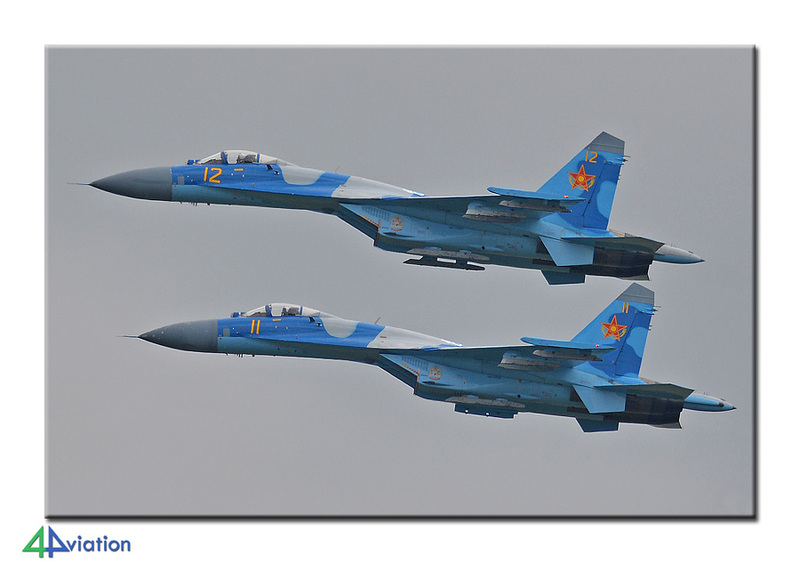 Despite the fact that they stayed a bit far away a demo by six Kazakh Flankers in their awesome blue colour scheme is very impressive. 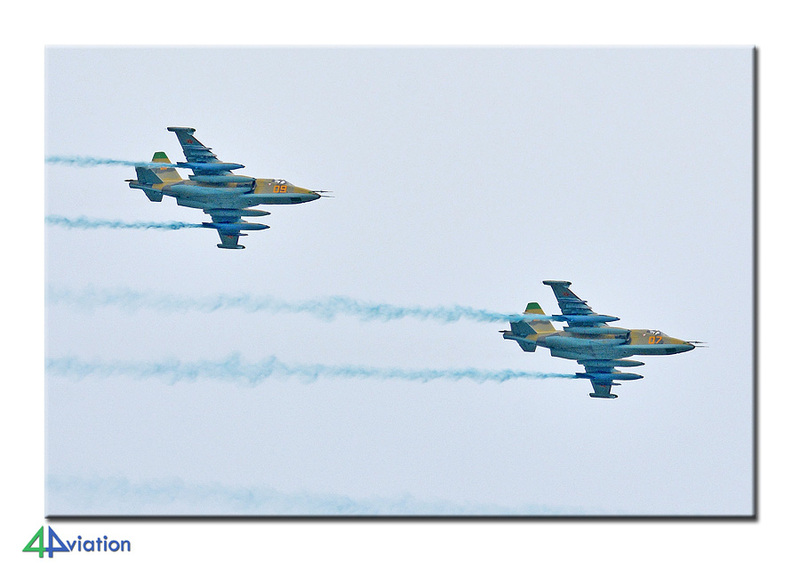 The show was ended by four Su-25s that were further away than the Flankers and Fulcrums unfortunately. 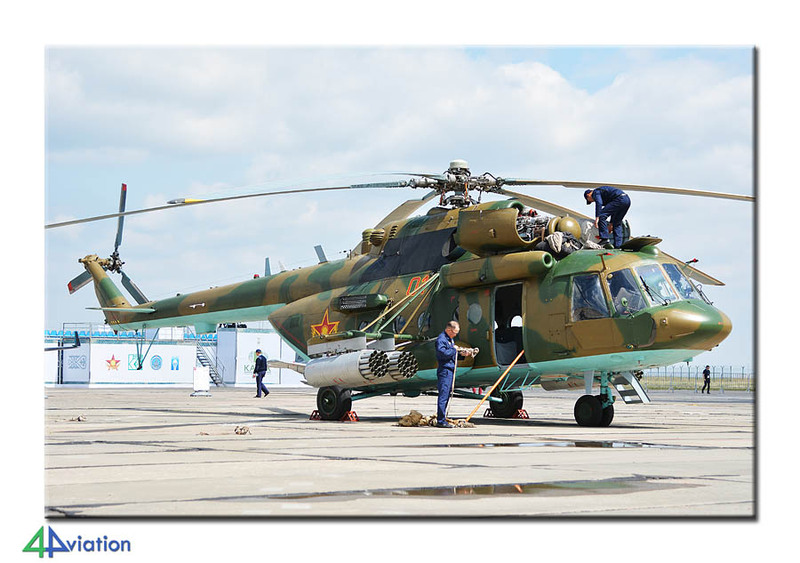 The rest of the day was spent on the static display and the air show consisted of demos by the foreign company aircraft and the brand new Border Guard Mi-171. Since the weather had deteriorated by now we returned to the hotel in time. In the evening the majority enjoyed a fine dinner and a beer in the restaurant just across the hotel. Friday 23 May was our second KADEX day. The weather had improved considerably and the temperature on departure from our hotel was a lot more comfortable than the day before. Since hardly any visitors were present during this day and the press passes gave us plenty of options to move around this day was used mainly to capture the static aircraft as best as possible. Besides that it was possible to get close to the helicopters in the grass near the runway and take fine shots of those. 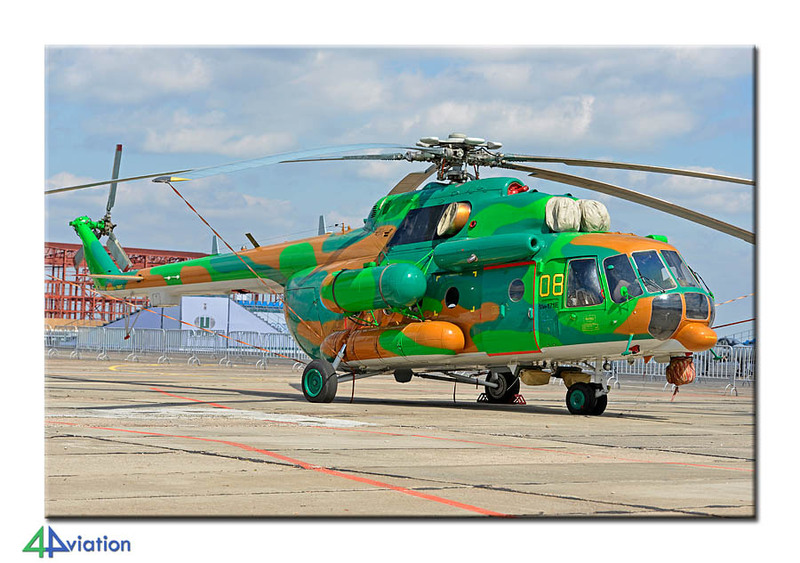 Also the two Border Guard Mi-171, and An-32 and the MiG-35 of RSK-MIG on a platform nearby could be captured nicely. 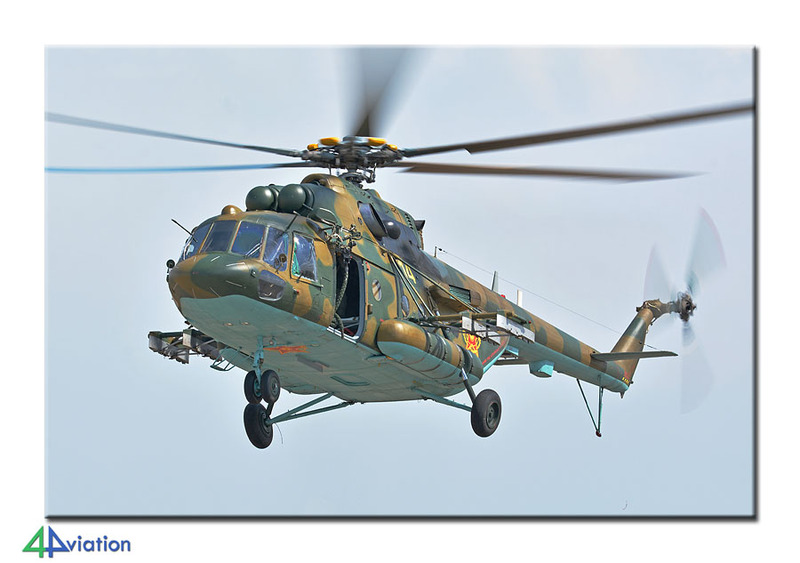 There was no army demonstration on this day but a number of Mi-8s flew as well as an Mi-24 and the groups of MiG-29s and Su-27s from the previous day. 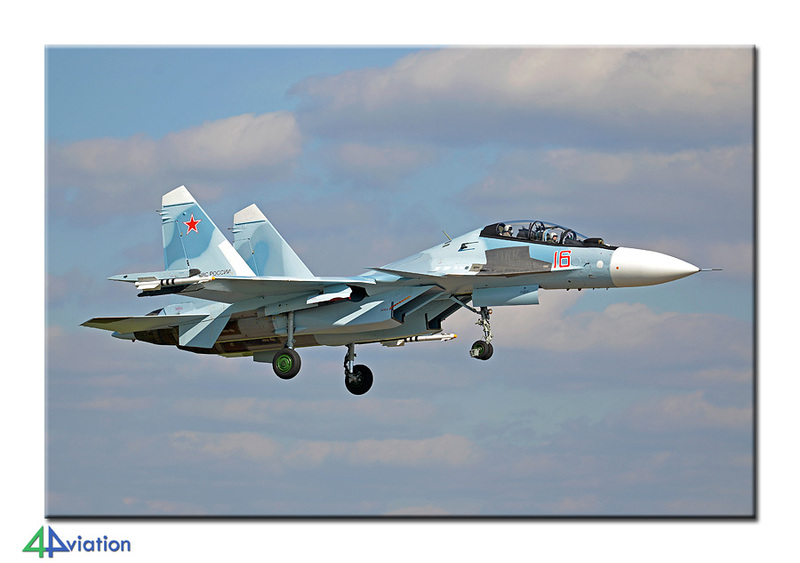 Also the Su-30 and MiG-35 flew demos and joyrides for the Kazakh top brass. The aircraft could be photographed very well from a spot near the runway. For those interested in civil aviation this day also brought some interesting aircraft. Everybody enjoyed himself this day and feeling quite satisfied we headed back to the hotel around 5 PM. The bus made a little detour to drop off those that wanted to have a look at the remarkable city centre of Astana. This centre contains some very remarkable buildings. The beer that was drunk on the top of the Bayterek Tower tasted very good on this warm day! Part of the group was able to enjoy a belly-dance act in the restaurant across the hotel. Also on Saturday (24 May) we departed the hotel for the airport at a comfortable time again. Today was the first public day and despite the somewhat grim forecast the weather was not looking too bad. Later that day some clouds did appear though. 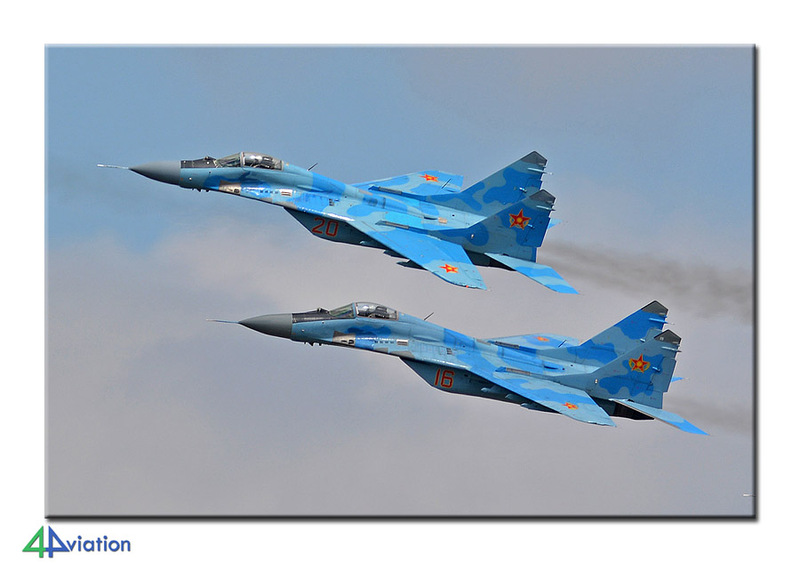 The program was comparable to Thursday albeit that the four Frogfoots were accompanied this day by a fifth one, a Su-25UB. 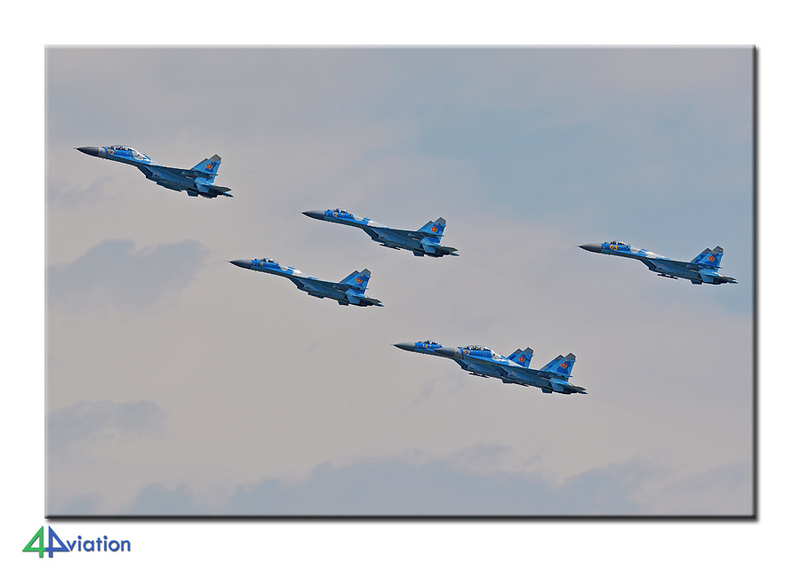 The six Flankers and four Fulcrums did something different than the previous days. Taking photos of the static display was difficult because of the public that was present. The show was visited by six thousand people in 2012 so do not expect massive crowds. 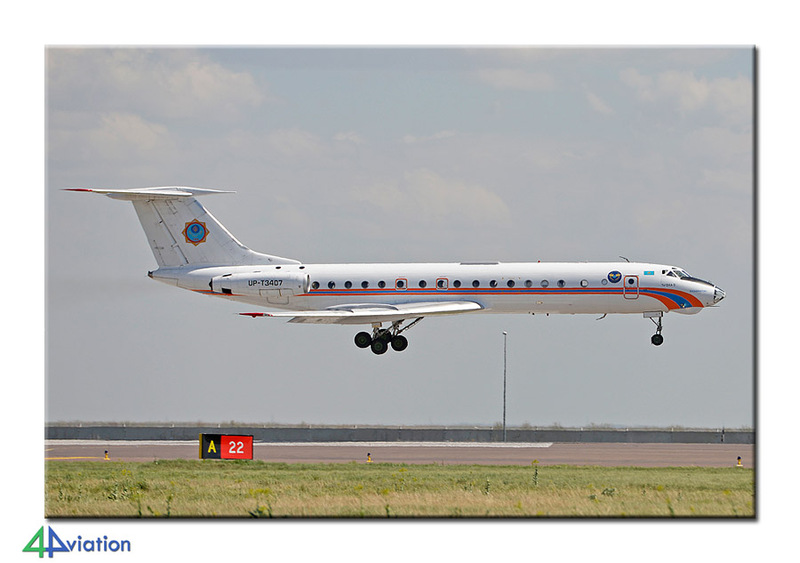 The highlights of the day for many were the landing Tu-134 of the Ministry of Emergency Situations, an An-26 of the air force and the departure of a government Tu-134. The hope of some that the public days would generate some visiting fighters was unfortunately gone by now. Sunday 25 May was our final day at KADEX. The weather was fine again although clouds unfortunately appeared during the familiar (but different on each day) demo of Kazakh hardware. Hilarious was the moment at which an Mi-8 emptied its bambi-bucket above the guy that was straightening the tank track at that moment. For most it was a done deal; the focus of today was to capture possible departures at the end of the show (scheduled to finish at 15 o’clock this day). 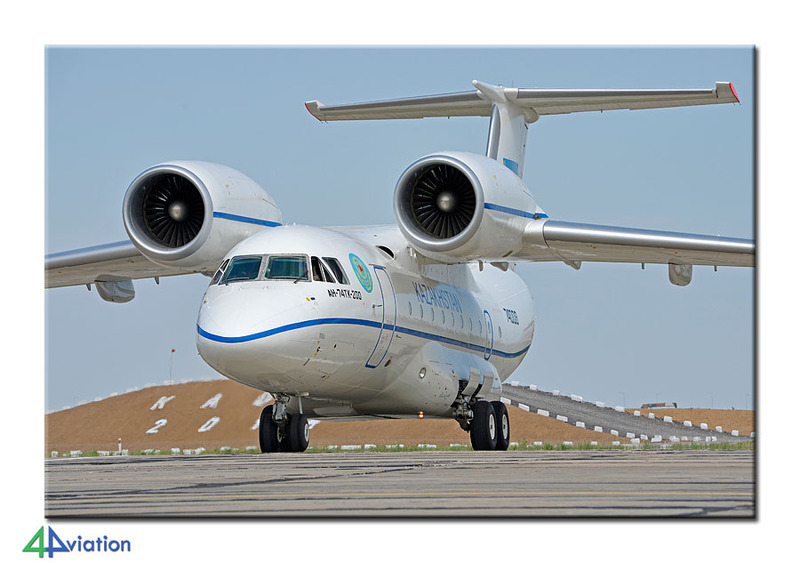 These departures were limited to the An-74 and the C295. Interesting arrival this afternoon was an An-12 of Irkut, the manufacturer of the Russian Su-30. This very nice aircraft could be captured very well. This oldie was followed by another An-12 ten minutes later, this time a Ukrainian civil one. Around 4 PM we said goodbye to KADEX 2014. After a final meal in our favourite restaurant everybody hit their beds early. The bus was scheduled to pick us up at 4 AM for the ride to the airport. After a comfortable flight to Kiev on Monday 26 May goodbyes were said to about half of the group that took different flights home from Kiev. 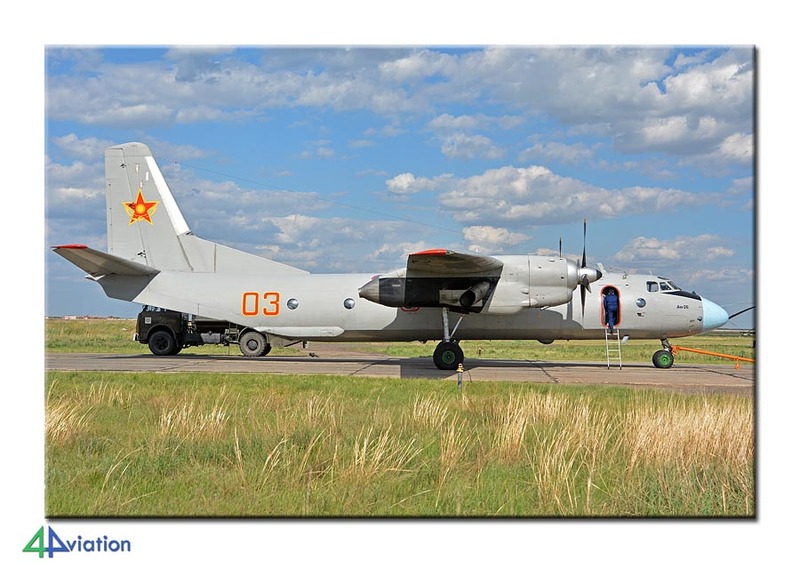 Many had another final look at the military platform of Borispol which yielded an extra An-26. Around half past eleven in the morning we arrived at Schiphol again where everything went as planned. Within no-time we were carrying our luggage and the final goodbyes were said to the nice group. 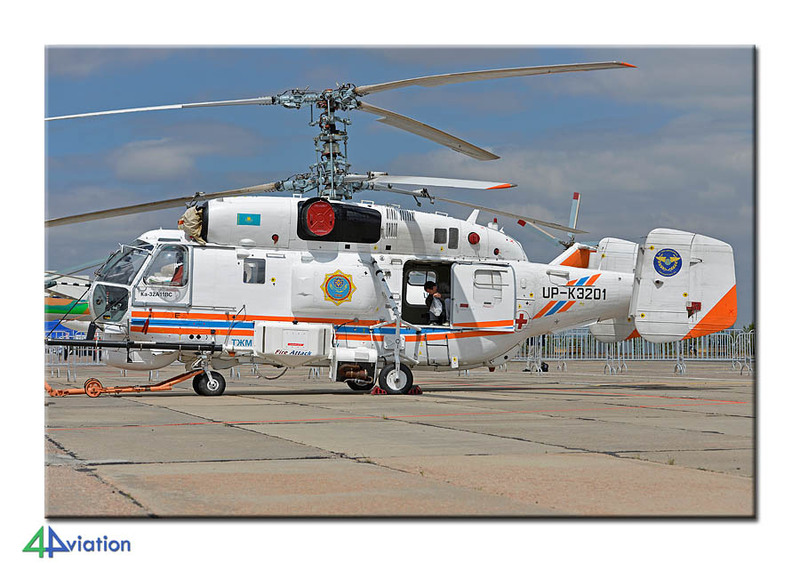 This ended the second 4Aviation tour to KADEX and Kazakhstan. A tour with some disappointment but also with many highlights and an interesting experience after all!